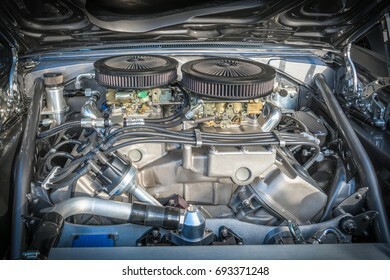 11,274 stock photos, vectors, and illustrations are available royalty-free. 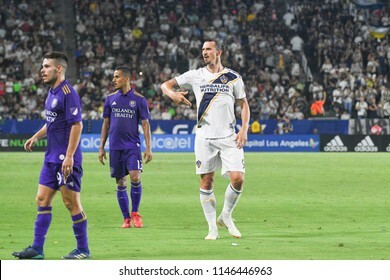 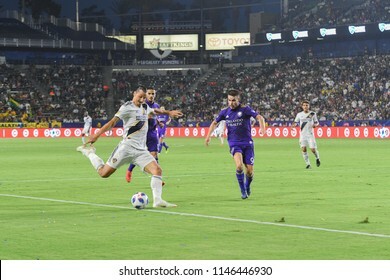 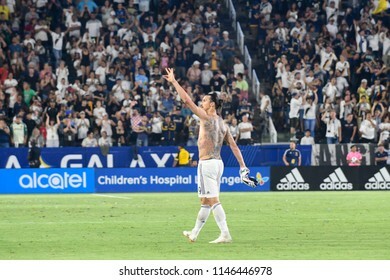 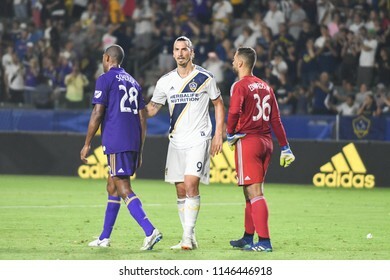 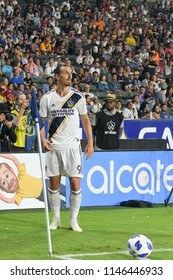 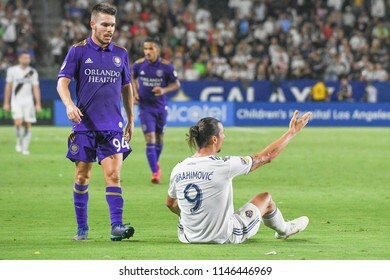 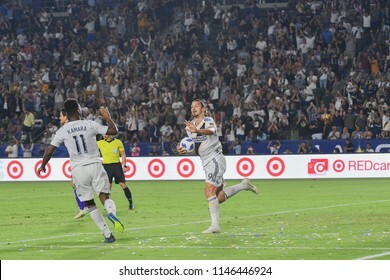 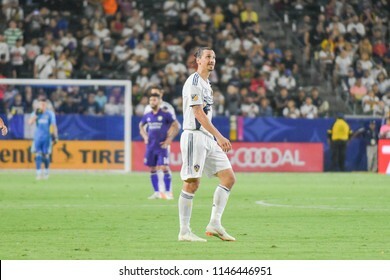 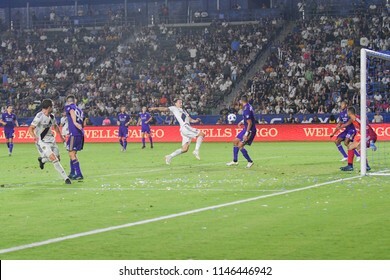 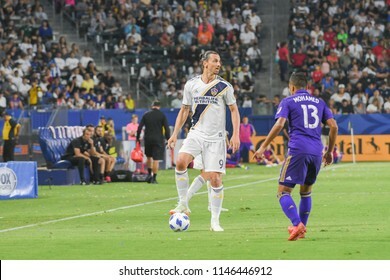 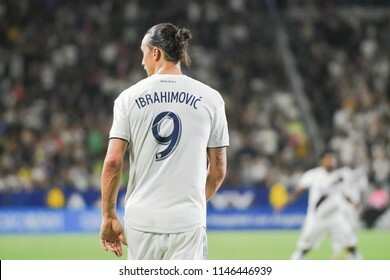 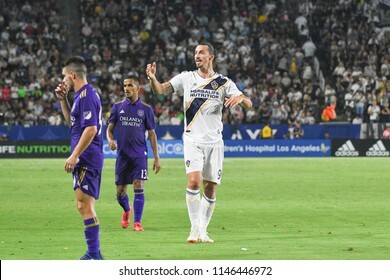 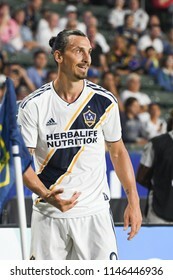 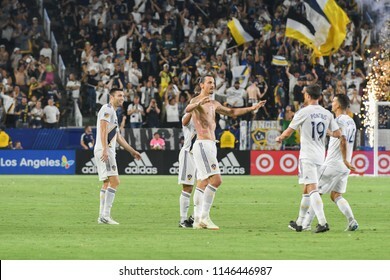 Carson, USA, July 29, 2018: Swedish soccer player Zlatan Ibrahimovic, during MLS Soccer league match, between LA Galaxy vs Orlando City at StubHub Stadium. 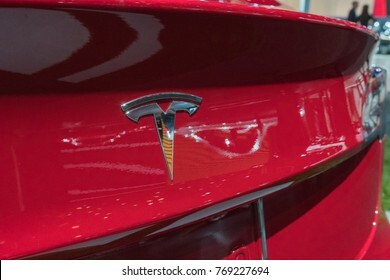 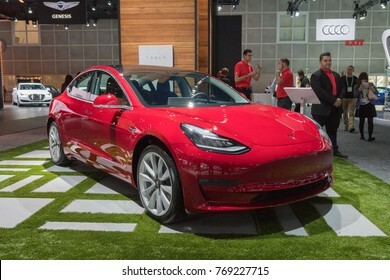 Los Angeles, USA - November 30, 2017: Tesla Model 3 on display during LA Auto Show at the Los Angeles Convention Center. 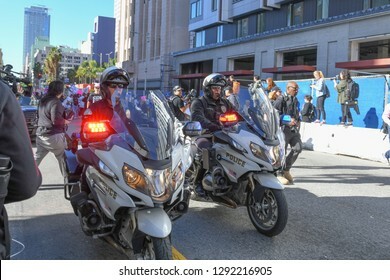 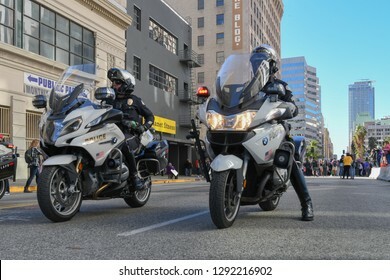 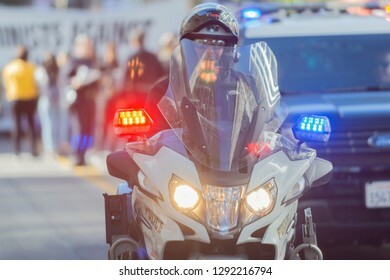 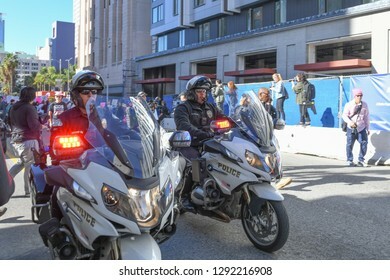 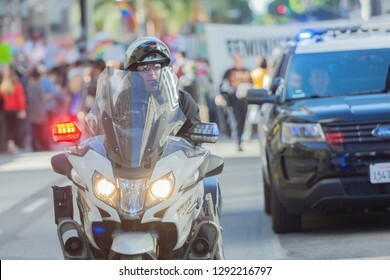 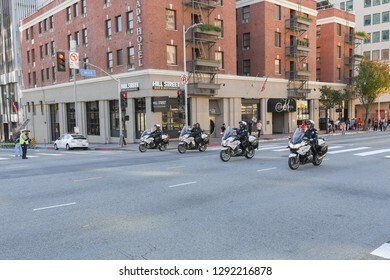 Los Angeles, USA - January 19, 2019: Police Department motorcycle officers during 3rd Womens March in Los Angeles. 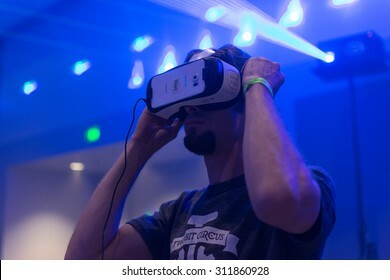 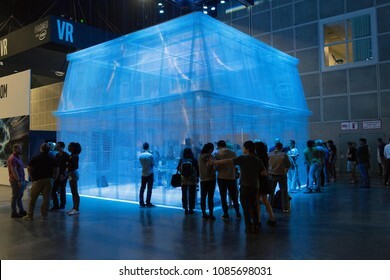 Los Angeles, USA - May 5, 2018: Immersive Experience stand during VRLA - virtual reality exposition, at the Los Angeles Convention Center. 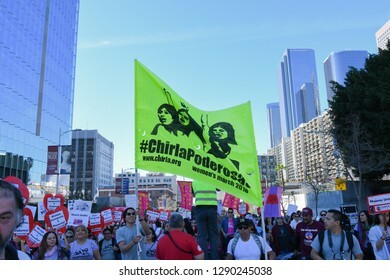 Los Angeles, USA - January 19, 2019: Women protesters hold posters during during 3rd Womens March in Los Angeles. 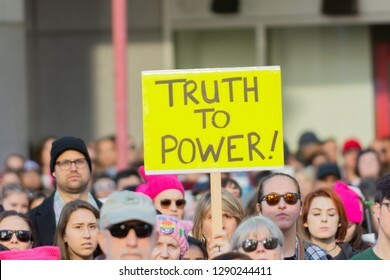 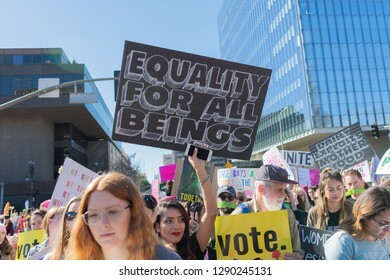 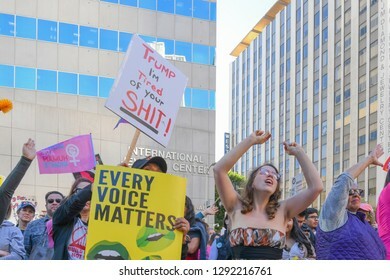 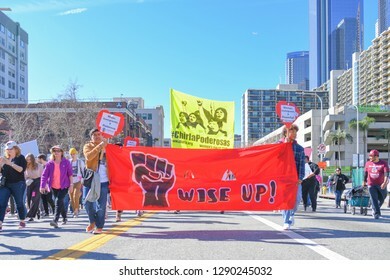 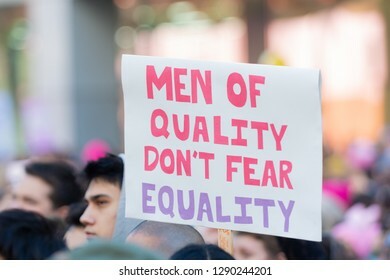 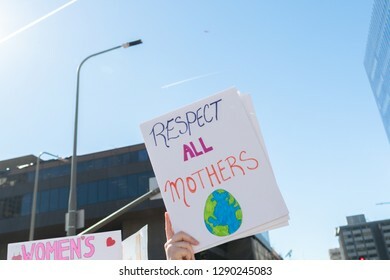 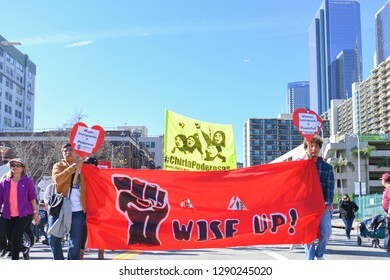 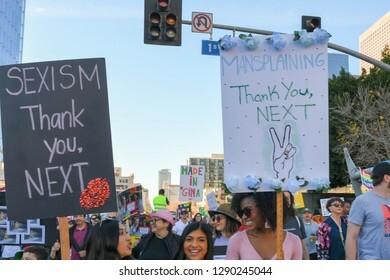 Los Angeles, USA - January 19, 2019: Protesters holding a sign during 3rd Womens March in Los Angeles. 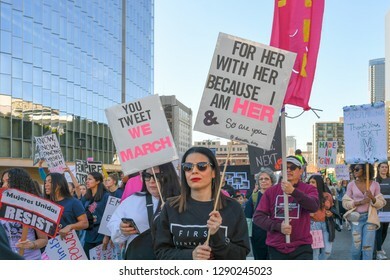 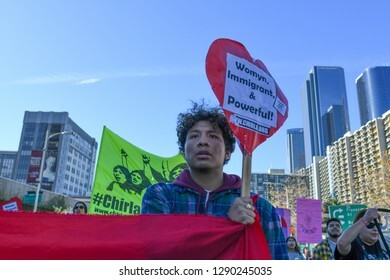 Los Angeles, USA - January 19, 2019: Protester holding a sign during 3rd Womens March in Los Angeles. 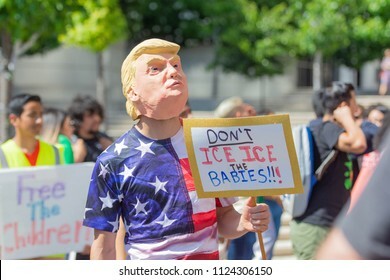 Los Angeles, June 30, 2018: during The Families Belong Together march around the Metropolitan Detention Center in protest of President Donald Trump's zero tolerance immigration policy. 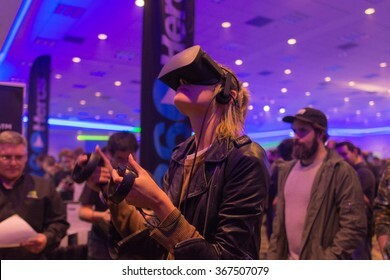 Los Angeles, USA - January 23, 2016: Woman tries virtual reality Samsung Gear VR headset during VRLA Expo Winter, virtual reality exposition, at the Los Angeles Convention Center. 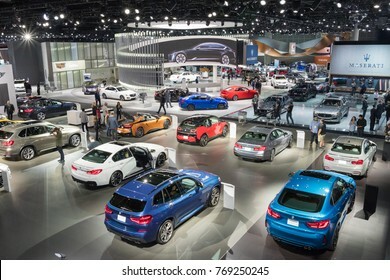 Los Angeles, USA - November 30, 2017: Aerial view on display during LA Auto Show at the Los Angeles Convention Center. 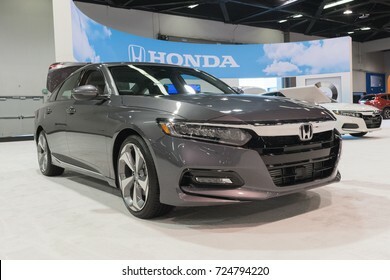 Anaheim - USA - September 28, 2017: Honda Accord on display at the Orange County International Auto Show. 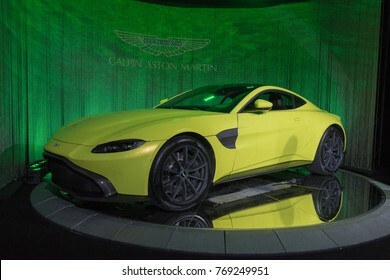 Los Angeles, USA - November 30, 2017: Aston Martin Vantage 2018 on display during LA Auto Show at the Los Angeles Convention Center. 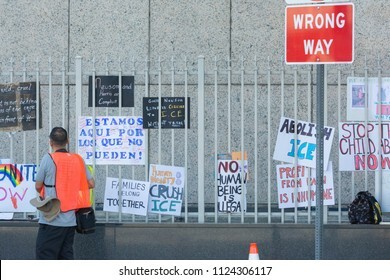 Los Angeles, June 30, 2018: Posters around the Metropolitan Detention Center in protest of President Donald Trump's zero tolerance immigration policy. 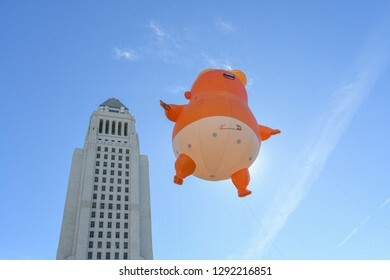 Lancaster, USA - March 24, 2018: Beechcraft F33C Bonanza on display during Los Angeles County Air Show at William J. 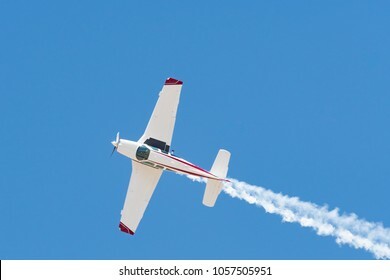 Fox Airfield. 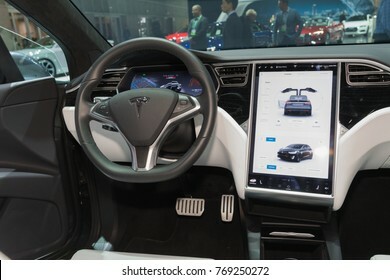 Los Angeles, USA - November 30, 2017: Tesla Model 3 interior on display during LA Auto Show at the Los Angeles Convention Center. 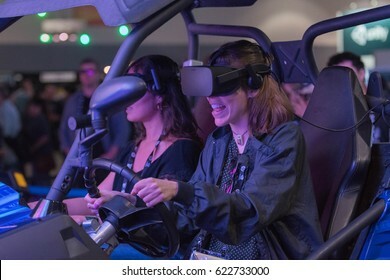 Los Angeles, CA - USA - August 29, 2015: Guy tries virtual glasses headset during VRLA Expo, virtual reality exposition, event at the Los Angeles Convention Center in Los Angeles. 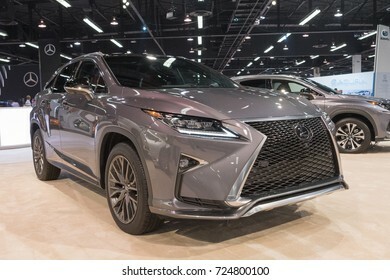 Anaheim - USA - September 28, 2017: Lexus RX 350 on display at the Orange County International Auto Show. 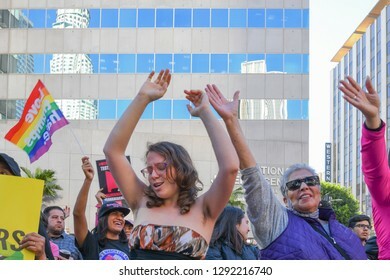 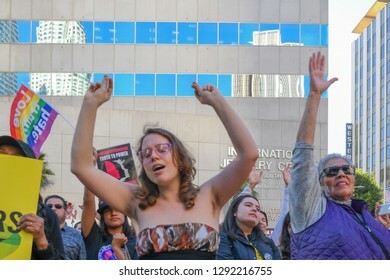 Los Angeles, USA - January 19, 2019: Woman dancing during 3rd Womens March in Los Angeles. 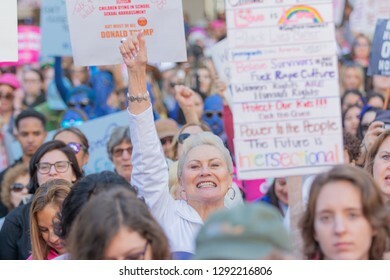 Los Angeles, USA - January 19, 2019: Woman protester hold poster during 3rd Womens March in Los Angeles. 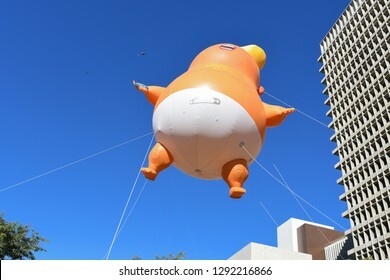 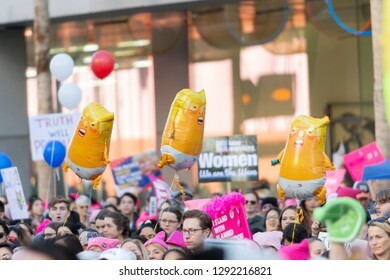 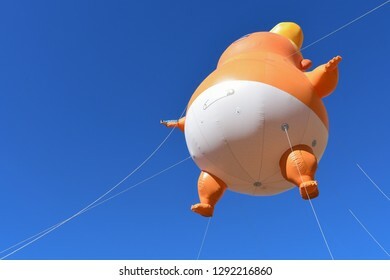 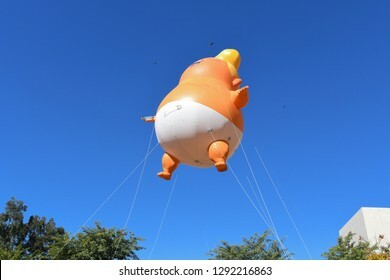 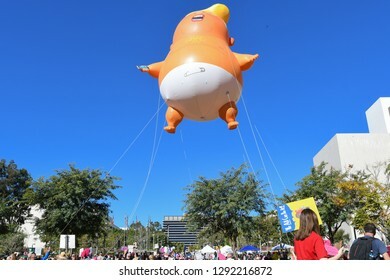 Los Angeles, USA - January 19, 2019: Baby Trump balloons during 3rd Womens March in Los Angeles. 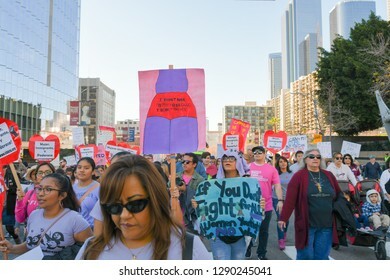 Los Angeles, USA - January 19, 2019: Women protesters during 3rd Womens March in Los Angeles. 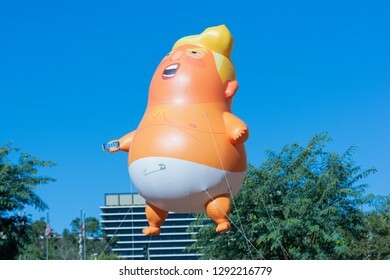 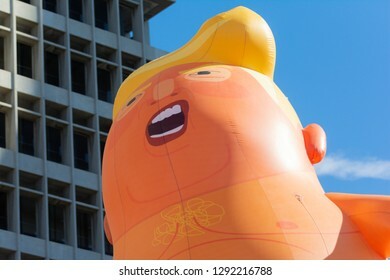 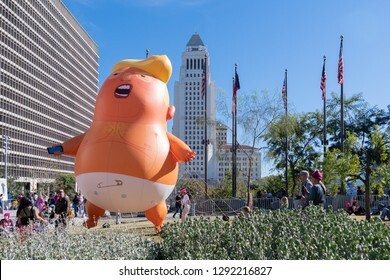 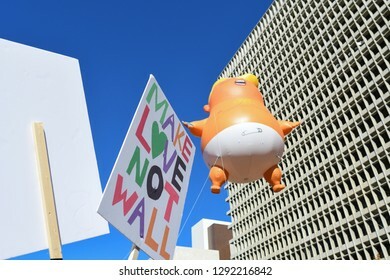 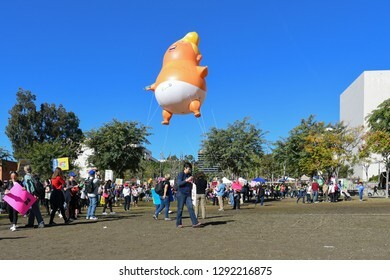 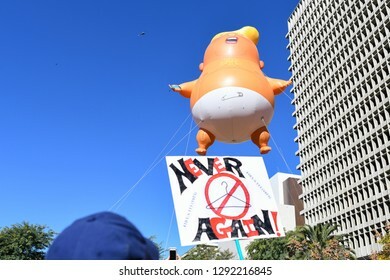 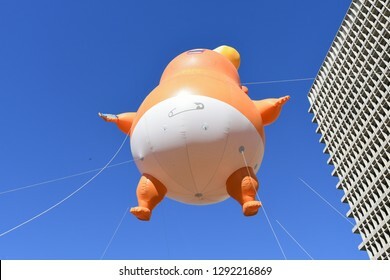 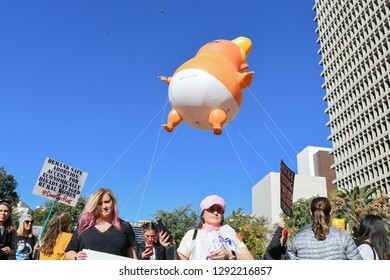 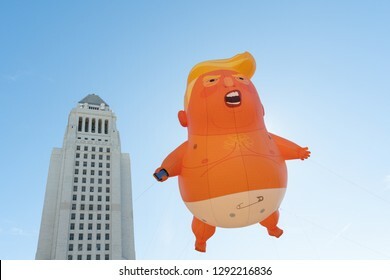 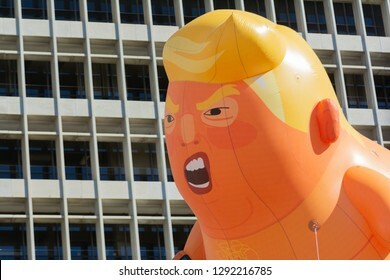 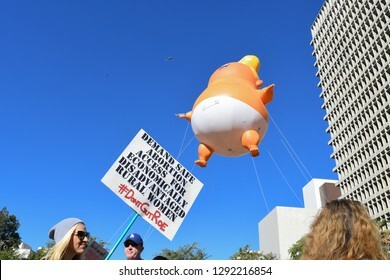 Los Angeles, USA - January 19, 2019: Trump baby balloon during 3rd Womens March in Los Angeles. 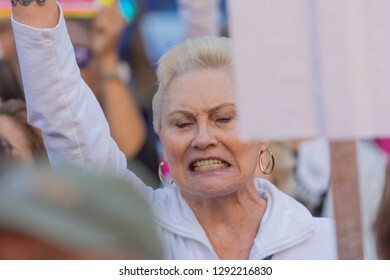 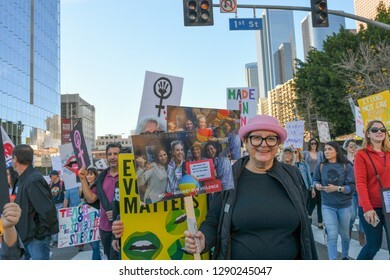 Los Angeles, USA - January 19, 2019: Woman protester during 3rd Womens March in Los Angeles. 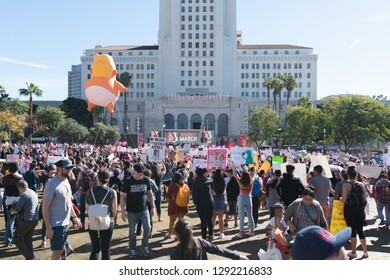 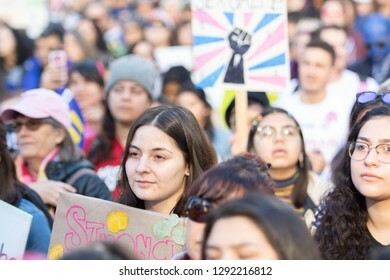 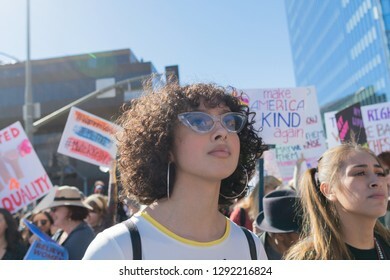 Los Angeles, USA - January 19, 2019: Thousands of women turned out for the 3rd Womens March in Los Angeles. 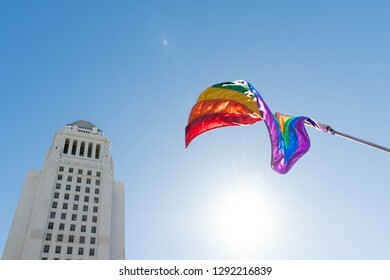 Los Angeles, USA - January 19, 2019: LGBT flag in front of the Los Angeles City Hall. 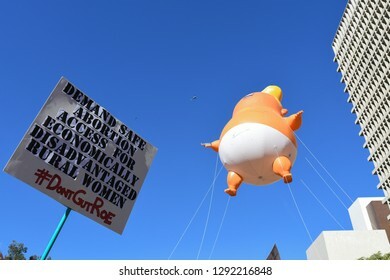 during 3rd Womens March in Los Angeles. 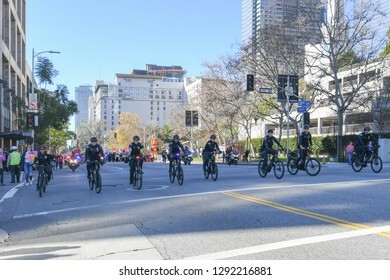 Los Angeles, USA - January 19, 2019: Police Officers riding bicycles during 3rd Womens March in Los Angeles. 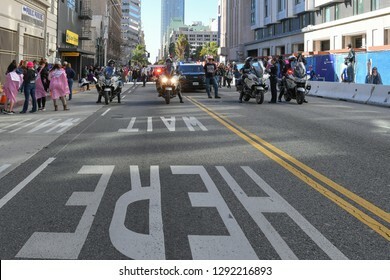 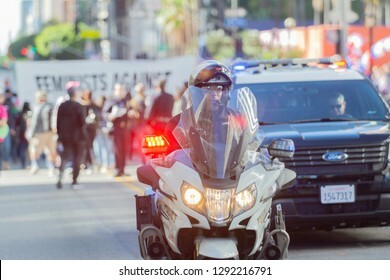 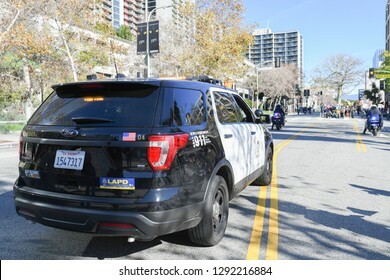 Los Angeles, USA - January 19, 2019: Police Officers vehicles during 3rd Womens March in Los Angeles. 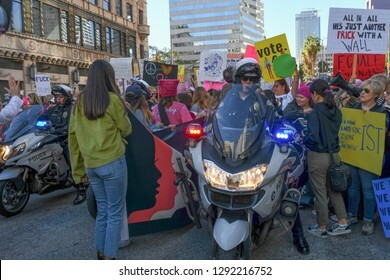 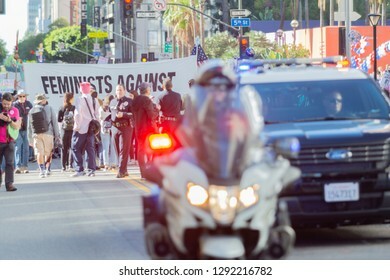 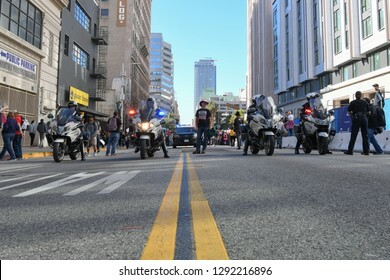 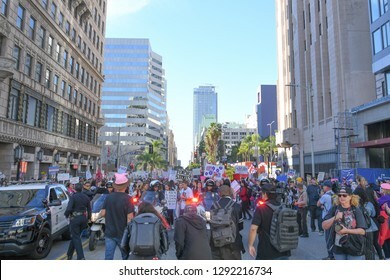 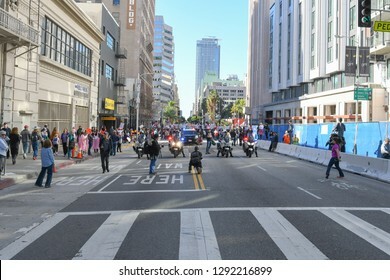 Los Angeles, USA - January 19, 2019: Police Officers and protester during 3rd Womens March in Los Angeles. 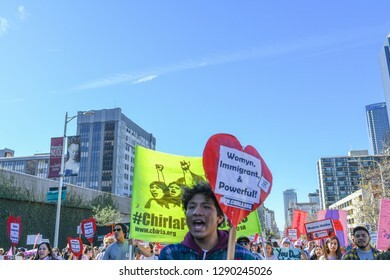 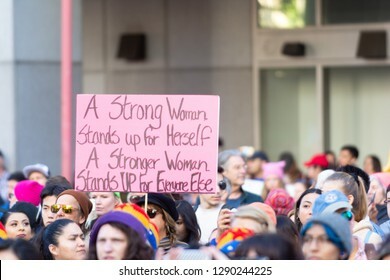 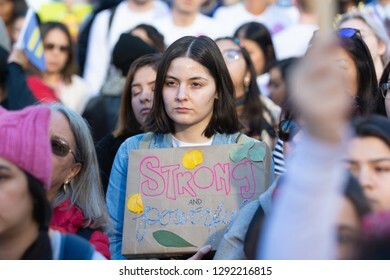 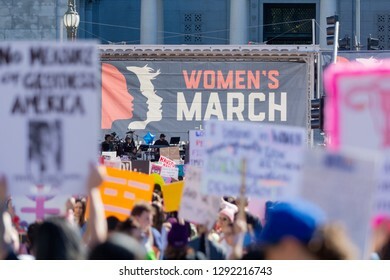 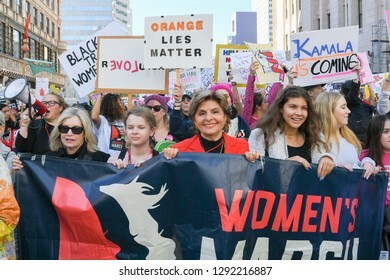 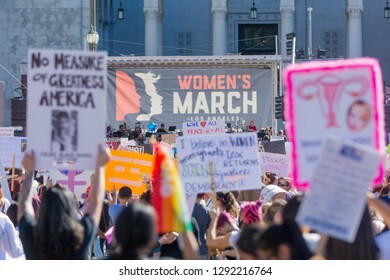 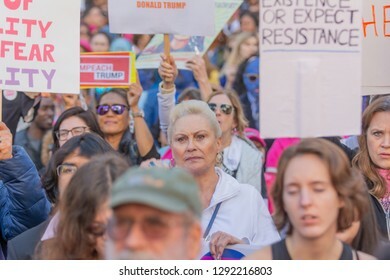 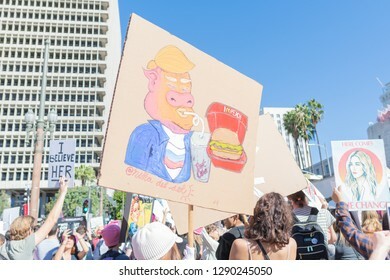 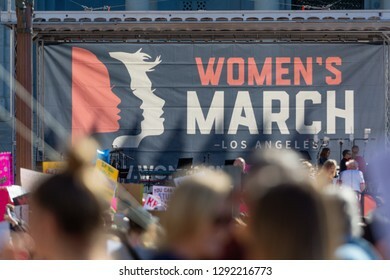 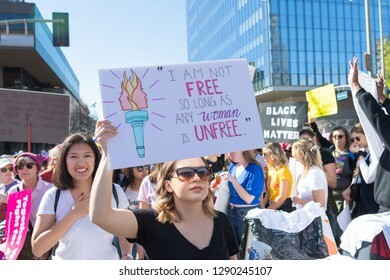 Los Angeles, USA - January 19, 2019: Women protesters hold poster during 3rd Womens March in Los Angeles. 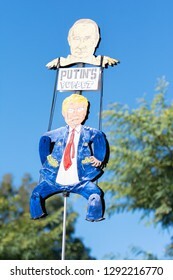 Los Angeles, USA - January 19, 2019: A sign that reads, "Putin's puppet." 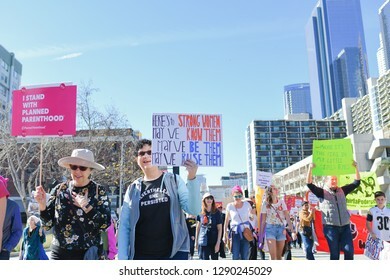 during 3rd Womens March in Los Angeles. 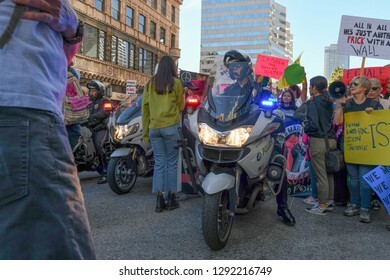 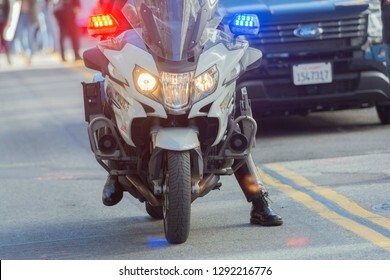 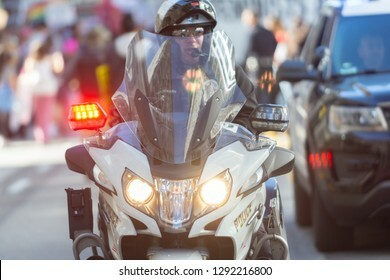 Los Angeles, USA - January 19, 2019: Police Department motorcycle officer during 3rd Womens March in Los Angeles.